A new tool is allowing criminals across the world to break into cars without leaving a trace, and now that device has made its way to the Canada. The Police don’t know how they are doing it, and there is a lot of speculation. The latest theory is a new device can be purchased online for about $5 and sends an electromagnetic pulse through a car’s key area to unlock the vehicle. A device manufacturer has confirmed that 25+ of these devices have already then packaged and mailed to individuals within a particular state. Using a small EMP device to unlock a car’s door – got the attention of someone who builds mini EMP devices and has used them to get credits on slot machines. He claims it’s highly unlikely a mini EMP device would be able to activate the solenoid on a car door. 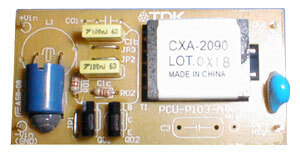 A very small hi-volt power supplies called “fluorescent lamp inverters” or CCFL drivers. In fact, these devices are actually solid-state continuous-wave “CW” Tesla Coils: they produce one or two kilo-volts at high frequency. Now the attack does not allow malicious people to drive off with your car! What it does is trick/break the car lock so that the malicious individual can open your car door! From there they can rummage around the inside of your car, glovebox and remove any valuables or important documentation (driving license and insurance) than can be further used in fraud and identify theft scenarios. Apparently 19 car manufacturers are vulnerable to this attack, however, no-one yet has released the full list? So How to Defend Your Car? At the moment there is no real defence from your car! Don’t leave important documentation in your car!